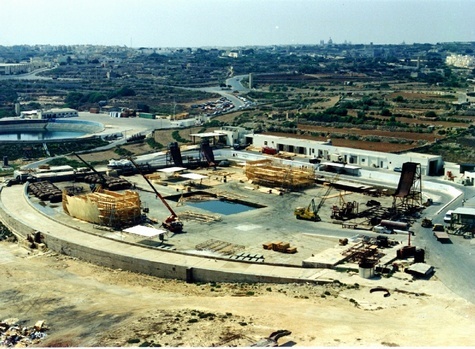 Malta is world-renowned for its water SFX facility situated in the south-eastern side of the island. Mediterranean Film Studios (MFS) boasts of one indoor tank and two large exterior water tanks situated along the coast and therefore enjoying a natural horizon. They are amongst the largest in the world. This Shallow Tank was built in 1964 when the studio was created. 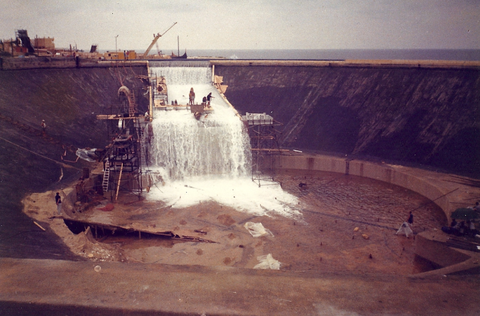 It is the most popular tank and used mainly for surface water filming and also elaborate storm special effects. Such movies as Orca The Killer Whale, White Squall and Cutthroat Island were filmed here. This Deep Tank was built in 1979 for the movie Raise The Titanic. It is mainly used for underwater filming due to its unique depth and water clarity abilities. Peter Dolmen, VFX Supervisor of U-571, said that water clarity using a special filtration system was often as good as 60 feet. Surface water filming is also possible with limited storm effects. This Insert Tank was built for the award-winning Levis "Mermaid" commercial. It has a dry camera room and it entire roof can be removed. Water clarity here is at its best. 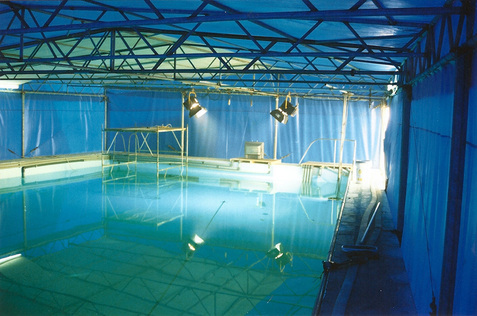 A set constructed inside the Insert Tank, which is built inside the Shallow Tank.